OK, we haven’t heard all that much from our fave cat-and-mouse pair Tom and Jerry in a while, but boy are we glad they’re back in a brand new movie called Tom and Jerry Meet Sherlock Holmes, available on DVD August 24! First off, we gotta say: Welcome Back Tom and Jerry! It’s been awhile since we’ve seen you, but we know you’ve been going strong for over 70 years now, which is pretty darn cool! 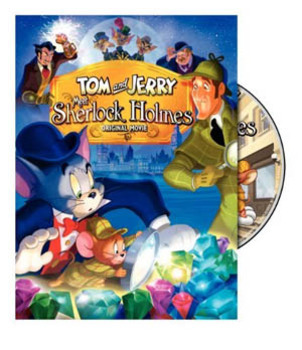 And this newest movie, Tom and Jerry Meet Sherlock Holmes, is proof there’s no end in sight for this cat and mouse! 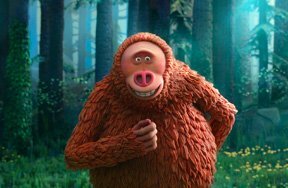 While the exact date isn’t clear, we know this cartoony movie is set sometime before 1891. 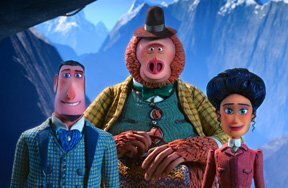 As the film opens, a gang of jewel thieves is terrorizing London. Their latest steal? A fabulous pink diamond! Meanwhile, Jerry is Detective Sherlock Holmes tiny assistant, living and doing his own experiments in a mouse hole at 221B Baker Street. When Jerry gives Holmes a message from his girlfriend, Miss Red, that reveals someone is blackmailing her, the famous detective invites Jerry and his cat friend Tom to help him solve the case. Of course, knowing Tom and Jerry, it’s hard to see how they’re gonna be any help at all on this case when they can hardly go two seconds without a fight! Well, that’s the thing: Holmes tells them they’ll have to learn to get along for the sake of the investigation. Well, they try, and as they do the mystery unravels to reveal that it’s one of the notorious jewel robbers who is framing Miss Red. Now it’s up to the detective, the mouse and the cat to find the thief and clear Miss Red’s good name once and for all! How to Draw Tom and Jerry: Check out animator Spike Brandt doing just that!